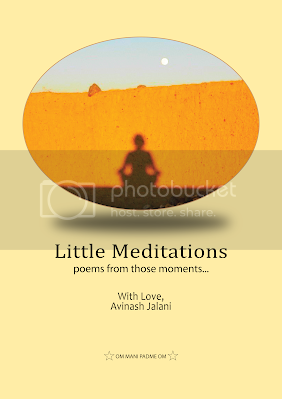 Little Meditations are poems dedicated to those moments when feelings are clustered, those moments when the breathe is slow and deep, those moments when thoughts just pass by, those moments when waiting is the only option, those moments when let go comes with a tear and a smile, those moments when the feelings take over and do not make sense. These poems are from the journey between those moments and hoping you may drift away into few moments of transcendence without an artificial pressure to find meaning or purpose. You are here to heal yourself. Avinash Jalani was born in Rajasthan (India) and now settle in Australia with his lovely wife and his son. He is an enthusiastic hiker, bush-walker and believe in soul-healing through meditation practice. He has been writing poems from early childhood in form of words then sentences. These poems were his refuge into self and strengthen his inner voice.